This picture is my current favourite. 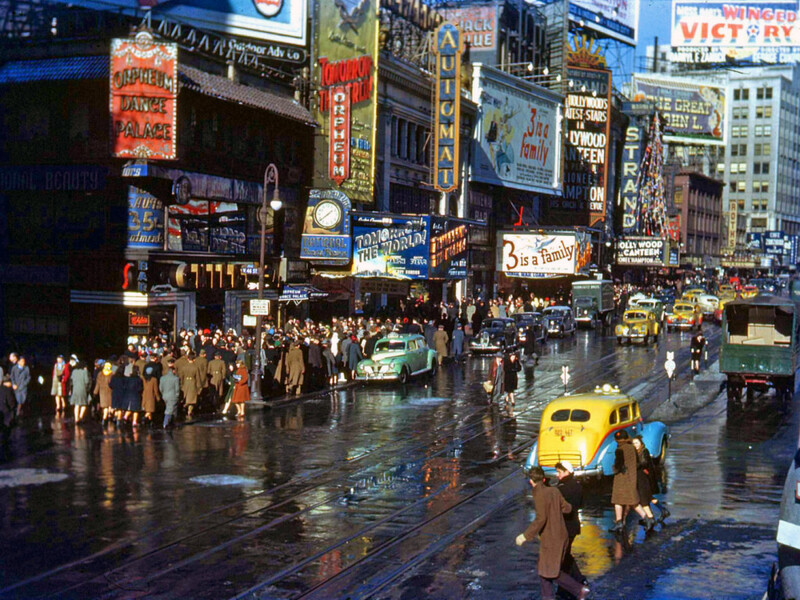 It is of Times Square New York City and was taken in 1944. This colourised version shows the full on glorious eye fest of the day. In my opinion, this gaudy shot is more appealing than the electronic, digitalised advertising campaigns happening there right now. My favourite part of my favourite picture, are the two tone Chevrolet/Desoto taxi cabs. Those cars remind me very strongly of one of my to date best cars – a Chrysler PT Cruiser – a car I wish I hadn’t sold and a model I intend to buy again soon. The cabs have also finalised my decision on what colour respray job I will having on it. Update: I bought another PT Cruiser and she is great.